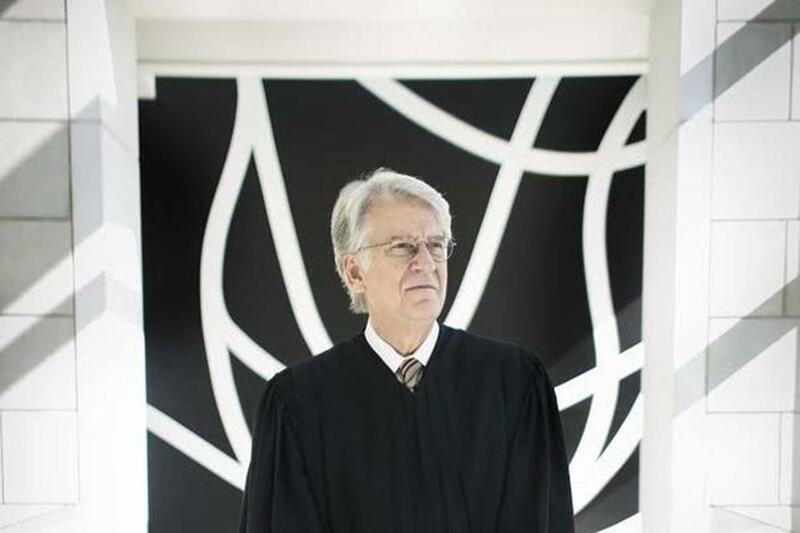 United States District Court Judge Michael Ponsor in the U.S. District Court in Springfield, Massachusetts. A federal judge sharply rebuked the state for failing to provide prompt mental health services to low-income children, saying that constant delays can lead to violent physical outbursts, removal from homes, and traumatizing and unnecessary hospital stays. Massachusetts has repeatedly violated its own standard of providing certain mental health treatment to seriously ill children on Medicaid within 14 calendar days, with thousands of children having waited weeks, putting them at risk for “devastating setbacks,’’ US District Court Judge Michael Ponsor found. Ponsor questioned whether even 14 days is too long to wait when a child is in crisis. “If a Medicaid-eligible child had appendicitis, no one would suggest that a ‘reasonably prompt’ response would be an appointment within two weeks of onset,’’ Ponsor wrote in an order on Thursday. Ponsor’s criticism came as he rejected the state’s request to be removed from court oversight in an 18-year-old case known as Rosie D. The girl was the lead plaintiff in a lawsuit filed in 2001 by 15,000 children with serious mental illness against the governor and other state officials over inadequate mental health services for youngsters on Medicaid, known as MassHealth. About 550,000 children in Massachusetts have insurance coverage through MassHealth. Ponsor ruled in 2006 that the state had violated Medicaid law for screening, diagnosing, and treating seriously mentally ill children, and later appointed a court monitor to oversee required improvements. State officials asked Ponsor to remove that oversight last August, arguing that it had complied with the court’s order to provide crucial high-level services, including mobile crisis intervention and therapeutic mentors, in a timely way. In his 45-page order on Thursday, Ponsor denied the state’s request. Officials, he wrote, have offered “vague excuses’’ for delays that have plagued the system. In a written statement to the Globe, the state said it “strongly disagrees’’ with Ponsor’s characterization of its performance and is reviewing its options, including a possible appeal. Since 2010, the state has made significant investments to improve care for these children, who have especially challenging needs, paying providers $1.3 billion to treat more than 125,000 youths, she said. More than 36,000 children on MassHealth received services required under the court order in 2017. The interventions appear to be working, officials said. Between July 2016 and June 2017, just 18 percent of youth who received services required by the court needed admission to a hospital or other treatment facility. Ponsor acknowledged “good news’’ in his ruling: Almost all youth eligible for MassHealth are now offered mental health screening as part of routine physicals — and referred for care if needed. A system has emerged “that bears little resemblance to the random, meager programming available when this lawsuit was filed,’’ he wrote. But he said long waits for key services persist. Ponsor also indicated that some clinicians are providing poor-quality care, but he did not address that issue in detail. Ponsor’s ruling focuses on children with serious mental health problems — attention deficit and hyperactivity disorder, post-traumatic stress disorder, oppositional defiant disorder, and schizoaffective disorder — conditions that are sometimes complicated by bipolar disease, extreme neglect, or physical and sexual abuse. These children often require multiple services, and the gold standard for pulling together all of their treatment is called intensive care coordination. A care coordinator is the linchpin of the team, and develops and oversees an overall treatment plan for the child that might involve a school counselor, psychiatrist, in-home therapists, and mentors. The state must provide care coordination within 14 days. But depending on the month, the court said, 30 to 60 percent of the children who require this service wait longer — and sometimes much longer. Often, other services required under the Rosie D. case, such as therapeutic mentoring, cannot begin until that key coordinator is in place. The court cited similar delays for in-home therapy, a crucial component of treatment intended to enable a troubled child to keep living at home rather than end up institutionalized. Thousands of children with MassHealth receive intensive care coordination and in-home therapy every month — but hundreds also are on waiting lists. Ponsor noted his frustration with the state’s response to this problem. “Over the past eighteen months (the defendants) have offered no concrete plan to rectify this situation and have begun to profess themselves neither able nor obliged to take any specific steps to alleviate this glaring failure in compliance,’’ he wrote. The state has said that some of the agencies charged with providing the services have had staffing problems. In the statement to the Globe, officials said they will invest $7 million over five years to help care coordination providers hire more staff, and improve pay and training. But Ponsor called these “bread-and-butter’’ challenges. “Something effective must be done, some credible plan adopted, something other than vague excuses must be offered, before court monitoring and oversight can be terminated,’’ he concluded. Liz Kowalczyk can be reached at kowalczyk@globe.com.